In February 2017, U.S. Supreme Court Justice Ruth Bader Ginsburg will visit the Washington and Lee University School of Law and will give a seated interview, open to the public, at VMI’s Cameron Hall Feb. 1, at 11:15 a.m. 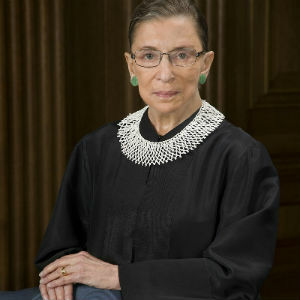 Throughout the course of her professional life, the 83-year-old Ginsburg has been an advocate for women’s rights and gender equality. In the 1970s, she co-founded the women’s rights project at the American Civil Liberties Union and later became the organization’s general counsel. Also during that decade, she became the first woman to earn tenure as a professor at her alma mater, Columbia Law School. At the time she entered academia, at Rutgers University in 1963, there were fewer than 20 female law professors in the United States.